Donations are the lifeline of many organizations and sewing projects for charity is a personal way to get involved. Check with any charitable organization before beginning a project to ensure that they need the item, and that they are a reputable group. Not all charitable organizations accept handmade items and some organizations are fake, selling donated items for self-gain. Before you start sewing items for donations, check to make sure they are a reputable company. 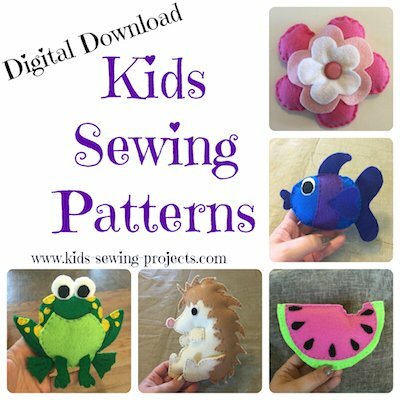 Sewing projects for infants are plentiful with free online patterns for a wide variety of projects. Premature infants are small and require tiny t-shirts, caps and gowns. 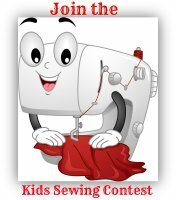 Contact the charity prior to starting your sewing project for specifics on materials, closures and any restrictions or recommendations on the charity sewing projects you have. Homeless shelters, childrens services and other similar organizations may provide want and need lists that contain items that are always needed, and items that a specific infant or child needs. Charitable baby showers are sometimes hosted for mothers in need and many childrens hospitals have specific programs for units in their facility. Child sized pillows with matching blankets, ICU Going Home layettes and stuffed animals are just a few of the items that many childrens hospitals request. Wounded war veterans and patients in VA hospitals benefit from charity sewing projects both physically and emotionally. There are many sewing projects needed for injured vets including specialized pillows for supporting injured limbs, tube pillows that provide non-pressure support and gowns that have Velcro closures. Rehabilitation facilities also benefit from the skills of those who can sew. Replacing buttons with Velcro for vets who have lost limbs or sewing pull tabs on socks to allow a vet to dress themselves are just a few of the many ways where sewing skills are used. Senior citizens have special needs that are filled by donations of hand sewn items. Hospital bed saddlebags, wheelchair lap robes, walker bags and Velcro closure gowns are a few of the items welcomed at many nursing home facilities. Contact the facility prior to starting a project in order to find out what their immediate needs are. Donating items that are not needed and will go unused, take up valuable storage space. Volunteers at these facilities may also benefit from charity sewing projects including drawstring bags, book covers and flap style pouches. 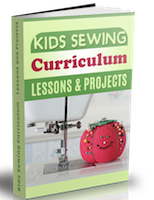 Need an easy hand sewing project? Special charity sewing projects for pets, especially after a natural or man-made disaster, fills a niche often overlooked. Cage pads, animal specific toys and clothing are a few of the items that are often needed by animal rescue facilities and adoption agencies. Horse blankets help to prevent infection of wounds or sores while booties can help paw pads heal in comfort. The needs list of each facility will differ and calling the organization provides information on what items are needed most. Assisting in your endeavor to make charity sewing projects, charities often provide links to free patterns for items that they need. ICU gowns, chemotherapy wraps, drain bags and breast cancer pillows are a few of the free patterns available for cancer patients. Patterns to make handmade stuffed animals given to children by law enforcement officers and firefighters, or provided to children at hospitals, are also available free online. Turning recycled materials into charity projects is a way to double your efforts. Old fleece sweatshirts become diaper covers, preemie hats, drain bags and scarves with a little effort. T-shirts become lap robes, drawstring pouches and wheelchair or walker saddlebags easily as well. Material scraps are wonderful for small stuffed animals, preemie clothing and pet toys, while sheets transform into colorful Velcro closure gowns. Volunteers and donations of needed items are vital to many organizations. 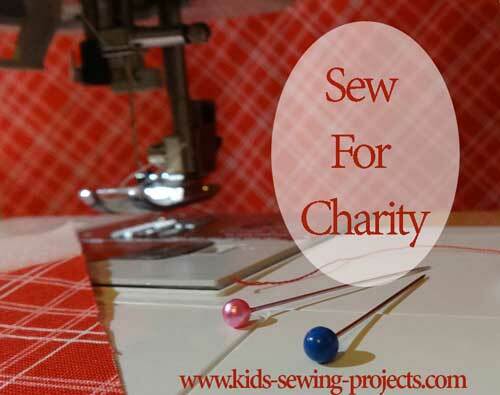 Charity sewing projects provide a way to share both time and resources with others in need. The material on this site is for educational purposes. Copyright 2007-2018, Madson Web Publishing, LLC - All rights reserved. The material on this site is for educational purposes only.